I launched my private law practice on July 1, 2017 after 10 years as a criminal prosecutor for the Essex County D.A. 's Office. As an Assistant District Attorney I worked with local and state police to prosecute felonies and misdemeanors in the district courts of Lawrence, Newburyport, Ipswich, Gloucester, Peabody, Salem, and Lynn. As a private lawyer my practice will initially focus in the areas of Criminal Defense, Registry of Motor Vehicles Hearings, and Firearms Licensing, with expansion to other legal services tailored to the needs of my individual clients. Call, text, or email me to set up a friendly meeting at my office or one of our conference rooms in the easy-to-access 1891 Professional Building (a.k.a. The 1891 Barn) at 10 Liberty Street, Danvers, MA. The consultation is confidential, the setting is private, professional, and conveniently located, and there is plenty of free parking. 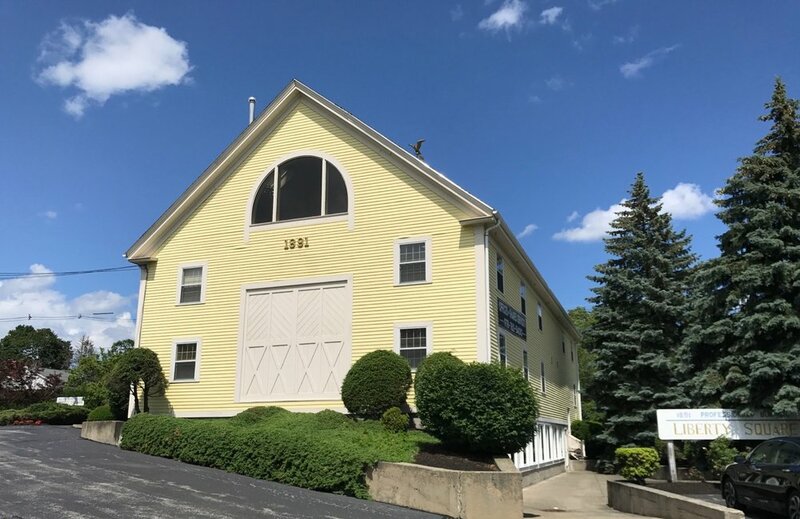 The 1891 Professional Building is conveniently located at 10 Liberty Street in Danvers. Chances are, you've driven by it your whole life. You may even remember when it was still an actual barn. We are located just off the southbound side of Rt. 128, visible just off to your right as you approach the Rt. 62 interchange at Exit 22. Southbound, at the bottom of Exit 22 bear right then take a quick right onto State Rd. "The Barn" is up the road approx. 1/4 mile on your right. From northbound on Rt. 128, at the bottom of Exit 22 take a left at the traffic light, travel under the Rt. 128 overpass, and take your first right onto State Rd. From I-95 south take exit 50 to Rt. 1 South, then take Rt. 62 east. From downtown Danvers, and Rt. 62 eastbound from Danvers and points west, bear left at the split of Conant and Elliott Streets by the Holten-Richmond Middle School and Plains Park. Staying onto Conant, go approx. 1/2 mile to the blinking yellow light, and turn right onto Liberty. "The Barn" is right in front of you. Evening and weekend consultations available by appointment.